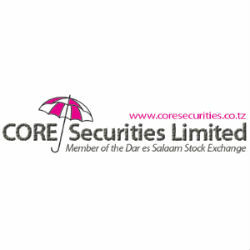 According to CORE Securities, named East Africa Best Advisory Brokerage by Capital Finance International, the Dar Es Salaam Stock Exchange total turnover during the week ending February 27th 2015 decreased by -43% to 38,582 million from 67,200 million the previous week. All Shares Index (DSEI) closed at 2,701.28 points (-2.37%) and Tanzania Share Index (TSI) closed at 4,924.66 (-1.49%). Industrial & Allied index (IA) closed at 6,163.13 (-0.72%) and Banks Finance & Investment index (BI) closed at 4,024.85 (-3.37%). DSE Total Market Capitalisation on Friday 27th February 2015 was TZS 23,663.60 billiob (USD 13,283.30 million).